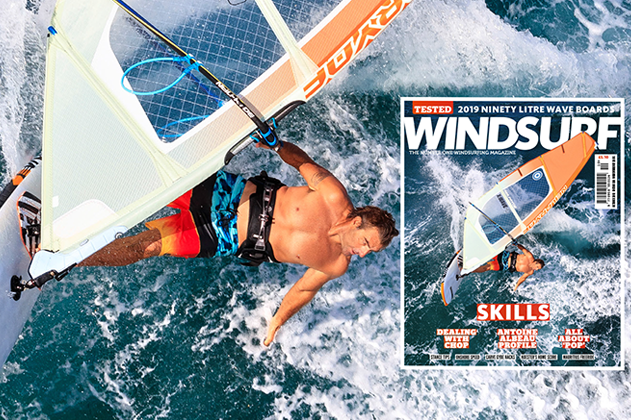 The October 2018 Issue of the world’s only monthly English language windsurfing magazine is out now! 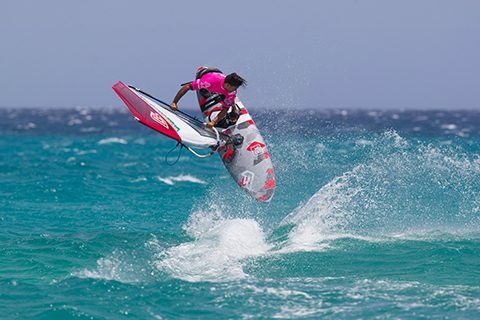 Skills – Dealing with chop, freestyle ‘pop’ tips, how to generate speed in onshore waves, TESTED: 2019 90 litre wave boards, Antoine Albeau profile, Peter Hart’s carve gybe hacks, Jem Hall’s stance tips, Jono Dunnett Mediterranean update, Koester’s home score, Mauritius freeride. 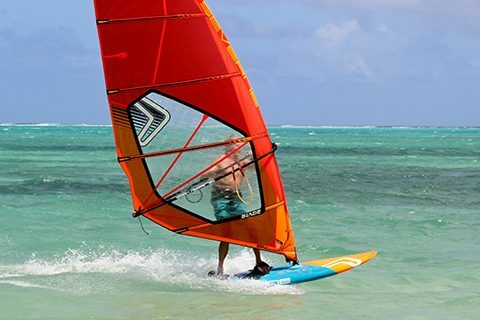 A double culo in the PWA or a cheeky chop hop at the weekend all start with a ‘pop’! 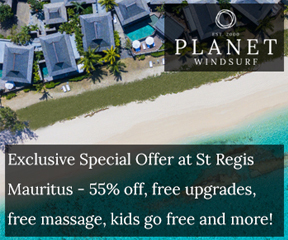 – learn more about the move here. 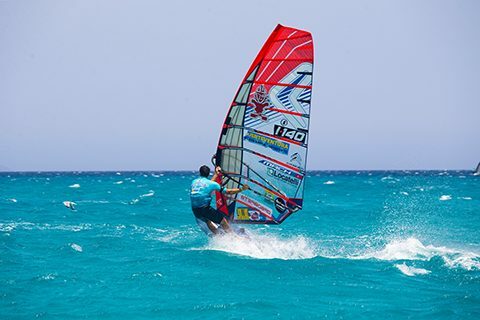 Antoine Albeau has won eleven out of the last twelve years at Sotavento’s PWA slalom event. JC asks Albeau’s rivals what gives him the edge. 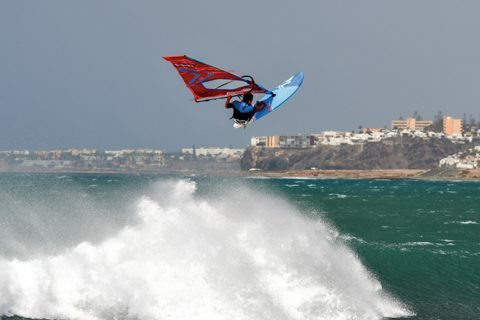 John Carter and Finn Mullen ask the pros and kit designers their tips for generating speed in ‘real world’ onshore waves. 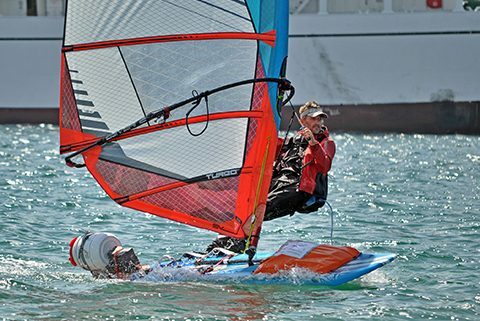 Chop is a challenge almost all sailors have to face; slalom pros and kit designers give us their tips on how to deal with it. 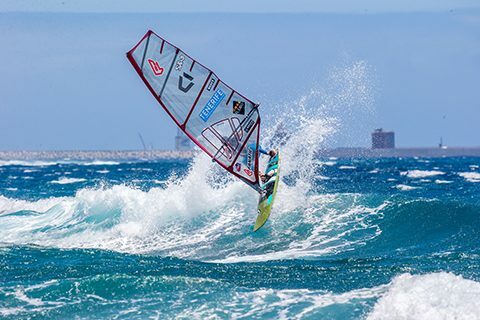 A juicy south swell lit up rare spots to the south of Pozo in Gran Canaria; Philip Koester breaks down the resultant epic sessions. 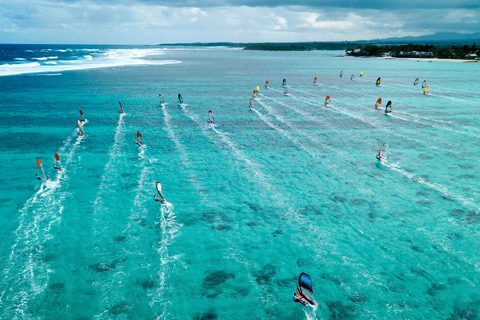 Learn more about the Mauritius Attitude Challenge (MAC), an event inspired by the fun and party atmosphere of Défi Wind, but with a Mauritian twist! 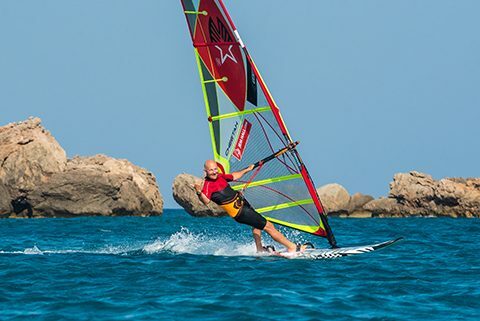 Navigating the coastlines of Spain, France and Italy, Jono Dunnett continues his intrepid round Europe windsurf expedition, updating us with poignant observations from his voyage. 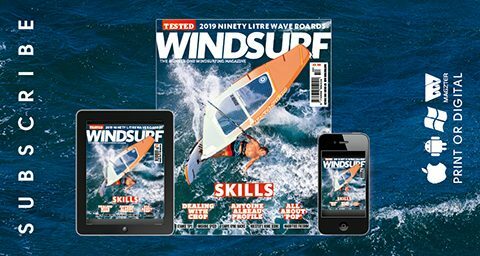 The test team review a selection of 2019’s 90 litre wave boards in the UK wavesailing hotspots of Gwithian and Rhosneigr. 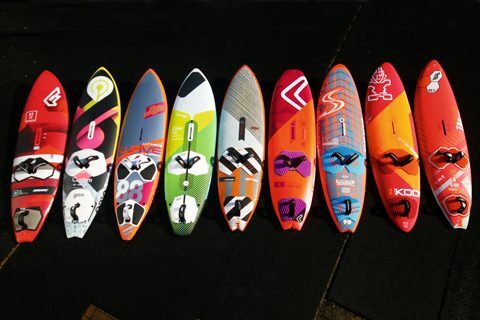 In part 2 of his gybe mastery series, Harty suggests yet more ways to adapt gybes to compliment kit and the situation. 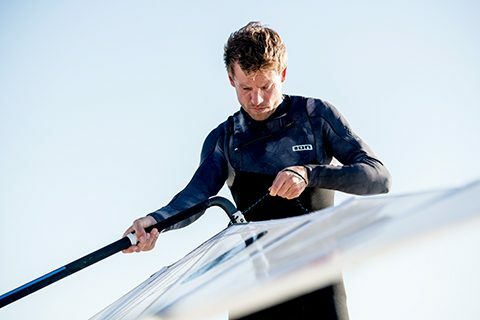 Jem Hall tells us how to enhance our stance in the ‘Trinity’ of skills – planing early, sailing fast and getting upwind. 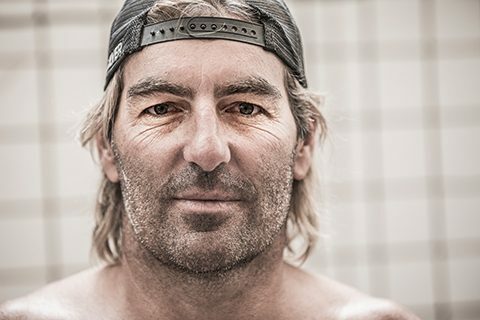 From around the world the sharpest minds have gathered to discuss the current state of windsurfing’s new ‘stuff’; this is not the result! 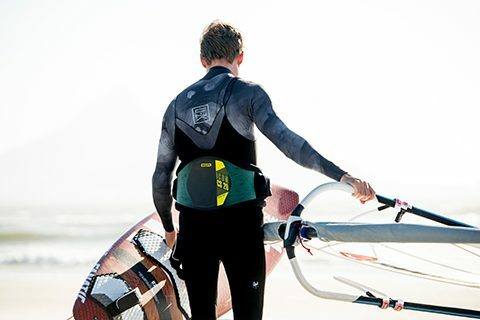 Check out our waist harness buyer’s guide with some of the latest product from the brands and tips from German ripper Klaas Voget. 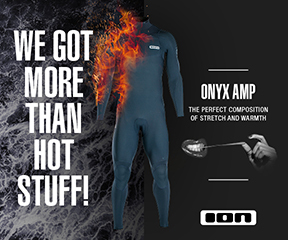 Marc Burhans, ION’s neoprene product manager, gives us some expert advice on winter wetsuits and a selection of brands show off their new suits. 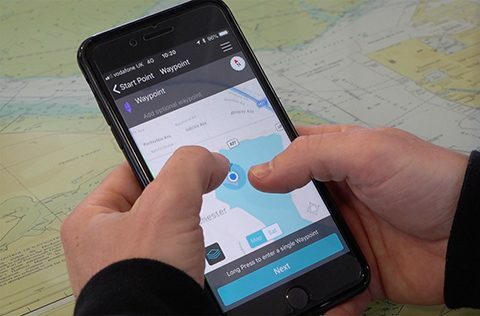 The RYA tell us about their potentially life-saving app, SAFETRX, designed to improve safety at sea. 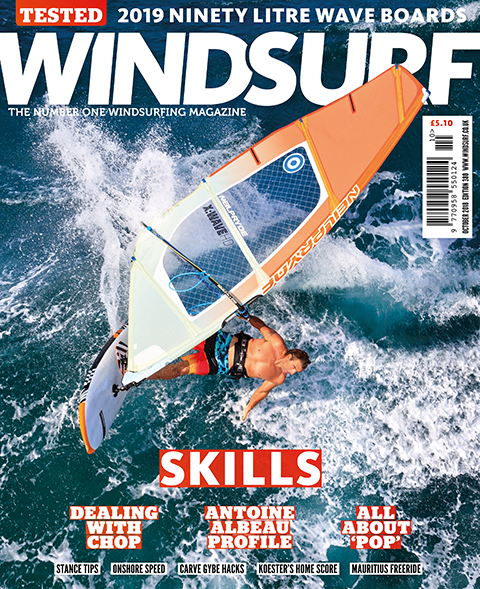 Use them or lose them, the editor discusses windsurfing ‘skills’! Encouraging news for those of advancing years, Harty tells us you may not be past your peak!